When it comes to choosing roofing materials for your home, you have many options to consider. Two of the most common materials are steel and asphalt. As a leading roofing contractor serving the Hayward and Northwest areas of Wisconsin, Coast to Coast Contracting & Development excels in roof replacements. 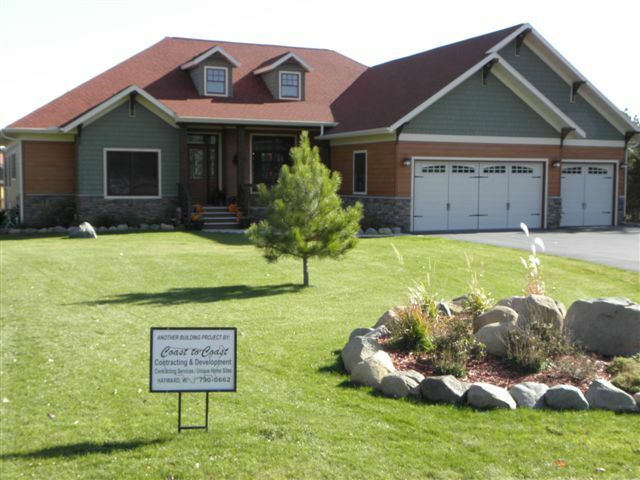 With a CertainTeed® shingle installer certification, their team is dedicated to providing exceptional craftsmanship and products. Here, they walk you through the advantages of steel versus asphalt roofing options. What Are the Benefits of Steel Roofing? Steel roofing outperforms virtually any other material in terms of longevity. On average, metal roofs can be expected to last between 50 and 70 years. While it requires more of a financial investment upfront, a steel roof can be a more economical option in the long run, as it is highly durable and can withstand extreme weather and storms. In some cases, homeowners may even be eligible for an insurance credit when they opt for steel roofs. Not only are they durable, but they also can reduce cooling costs due to their reflective properties. Asphalt roofing is a more affordable choice for homeowners seeking a budget-friendly option. Its lifespan is significantly shorter than that of metal’s, with an expectancy of roughly 15 to 30 years. Nonetheless, asphalt shingles can be installed quicker than steel. Although they are still resistant to wind, heavy rains, and other types of inclement weather, they can become damaged as a result of severe storms. If you plan to stay in your home for more than a couple of decades, a metal roof is likely a better long-term investment to make. On the other hand, if you’re seeking a budget-friendly option to keep your home protected during a shorter time frame, asphalt may suffice. Both options are available in a wide variety of colors and styles. Thus, either steel or asphalt can be installed to align with your preferred aesthetic. If you’re exploring your roofing options and would like to learn more from Coast to Coast Contracting & Development, contact their team of experts. In addition to superior craftsmanship and quality, they also offer free estimates. Learn more about their complete range of services online, or call (715) 790-0662 to reach the roofing contractors today.